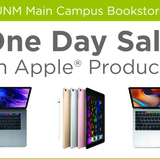 The University of New Mexico's Parking and Transportation Services is notifying the campus community to expect heavy traffic from Friday, Nov. 30 to Sunday, Dec. 2. Be advised that on Saturday, Dec. 1 from 3 p.m. until the conclusion of the Twinkle Light Parade, Girard Blvd. will be closed between Central Ave. and Campus Blvd. Public access to campus parking will be closed. 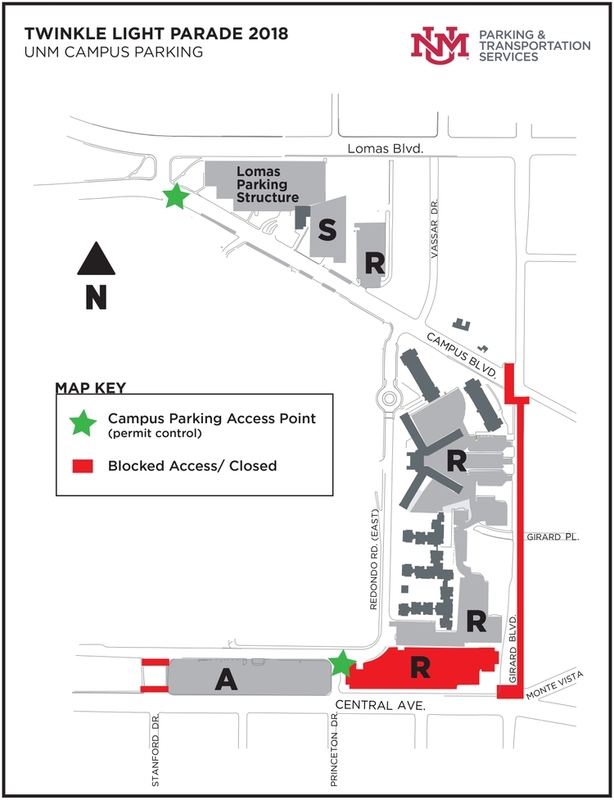 R and S (Lomas Parking Structure) permit holders will be allowed to access their respective lots by way of Campus-to-Redondo or Princeton-to-Redondo Dr. UNM parking permit holders will need to show their parking permit to Enforcement Officers in order to access certain parking lots.